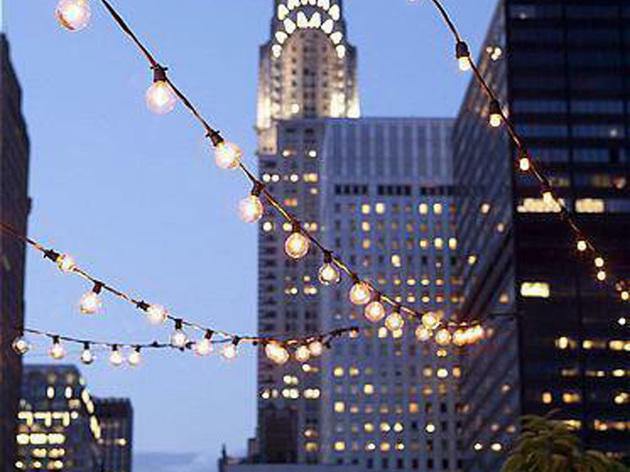 Unparalleled views of the Chrysler and Empire State buildings make the bar on the rooftop of the Shelbourne Hotel a revelation to boarders and visitors alike. Lounge beds and ample seating guarantee comfortable sightseeing; strings of lights decorate the foliage. Drinks, however, come at a cost ($9 for beer, $10 for standard mixed drinks) and are served in plastic cups—half price every day from 3:30 to 5:30pm. Wednesday and Thursday evenings bring DJs and dancing. Fun and spacious rooftop. The only thing that we didn't like was that there wasn't much for food options. They only had a chips and guacamole option or chichurrones as a snack for food. But you really come here for the rooftop and atmosphere - great views of the Empire State Building and being outside on a nice summer day having a nice cocktail was refreshing. My particular occasion on a Thursday night, they were hosting a private event so they kicked our party out promptly at 6:30. This is how rooftops should be. Friendly bouncers greeting you when you first arrive. Taking the elevator up 16 floors you are in a nice spot to enjoy some drinks. You are not in the highest spot in Manhattan but you have a nice view of Empire state building and the Chrysler building. My wife and I were able to grab a small table with comfy seats to enjoy our drinks. 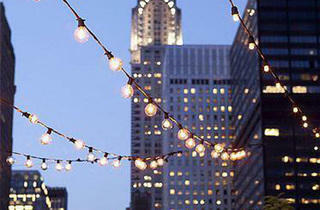 No drama, no fuss, great way to take in the city night.